You don’t have to pay the price in the brochure; there are usu­ally deals available if you know what to ask for, and when is the best time to stay. Midweek is usually cheaper than weekends, or go for Sunday and Monday rather than the traditional Friday/Saturday break to get a discount. Ask about the business rates, which are usually cheaper than the standard charge, though you’ll probably have to show a business card for this one. Turn up late in the day. Arrive around 4-6pm and if there are rooms left the hotel will be keen to ‘sell’ them rather than have them sitting empty, so ask for a discount. I did this in a fabulous hotel in Chichester recently, and got $40 off the price of double room. Hiring a car saves you relying on the local transport and it’s a great way to explore off the beaten track, but watch out for those hidden costs. Price-match and book your car before leaving home. Don’t blindly go with the ‘big boys’ like Hertz, Avis or Thrifty. 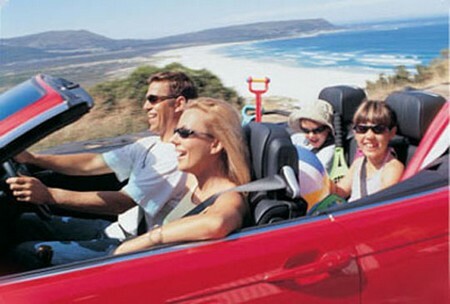 Use websites like www.travelsupermarket.com to compare car hire prices or spend a few minutes doing your own quotes online. Watch for added extras like baby seats and additional drivers, which may not be included in the basic price. Book the smallest car you feel able to cope with; the reason being that these get booked first so you’ll often find you’re upgraded to a bigger model for free. This has happened to me on at least two occasions recently, in Gran Canaria and Tunisia. Don’t get caught out with petrol costs. You’ll be expected to come back with the same amount in the tank as when you started, so if the needle’s on the red when you leave the air­port make sure that’s written on the paperwork so you won’t be charged for a full tank at penalty price when you return. Collision Damage Waiver (CDW) is the insurance you usually get with the car to cover the bulk of the cost in the event of a prang. But read the small print as you could still be liable for the excess, typically up to $1,000. ‘Damage’ could be some­thing as simple as scratched paintwork, yet some companies will try to impose the full excess for this. Protect against the risk of forking out for this excess with Damage Excess Waiver. It’s an ‘optional extra’ but is sold under different names including Super Cover, Reimbursement Excess and Car Hire Excess, and often pushed (at a high price) when you collect your car abroad. Buy before you fly; it costs around $2 a day with www.carhireexcess.com and you can find other companies offering similar cover online.